At Caliterra, we know it takes a lot to stand out from the many communities located throughout the Texas Hill Country. From the rolling banks of Onion Creek to the enchanting Hill Country views, we pride ourselves on being a beautiful master-planned community in Dripping Springs with a variety of amenities, acclaimed homebuilders and more. Here are a few of the reasons why our master-planned community is unlike any other. All roads at Caliterra lead to our Welcome Lounge & Event Pavillion. This community hub, located within Caliterra Commons, serves as the perfect backdrop for weekend play-dates with the neighbors or relaxing evenings watching the sunset over the Texas Hill Country. You can even walk over to the lounge and pick up your morning coffee from our community’s on-site coffee shop, Le Muse at Caliterra. 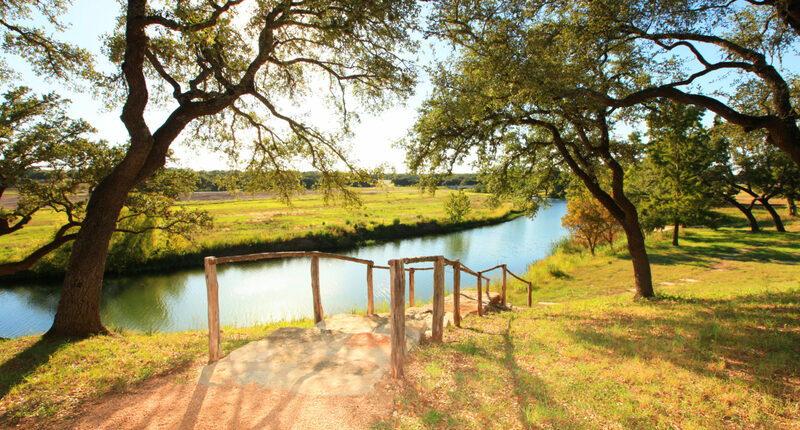 Our master-planned community in Dripping Springs is made up of nearly 250 acres of preserved nature and 33 of these acres are known as Caliterra Park. Colorful wildflowers, rolling hills and fresh Texas Hill Country air add to the picturesque beauty of this expansive park. The centerpiece of Treehouse Park, our community’s second park, is none other than an oversized treehouse. Allow your child’s imagination to run wild while you watch from one of the picnic tables shaded by the beautiful 100-year-old oak trees. When you are thinking of moving to a new community with young children, school district and education remain top of mind. Students at Caliterra will attend schools from the highly-acclaimed Dripping Springs ISD, including Walnut Springs Elementary School, Dripping Springs Middle School and Dripping Springs High School. Some things just come naturally, and for the schools within the district, going above and beyond to educate your youngsters is one of those things. As for new homes in Dripping Springs, we’re proud to offer homebuyers a variety of single-family home styles from 8 different homebuilders. We have 3 regional builders – Brookfield Residential, Drees Custom Homes and Scott Felder Homes. We also have 5 custom homebuilders – Sterling Customer Homes, Arbogast Custom Homes, Lake Travis Builders, Sommerfeld Construction and Alkire Construction, all building custom homes in our Wildwood community. These are just a handful of reasons why we consider Caliterra to be unlike any other master-planned community in Dripping Springs. To learn more about our new homes near Austin and our nature-focused lifestyle, follow Caliterra on Facebook, Instagram and Twitter.